When we think of great marketing, we tend to visualise consumer brands like Coca-Cola or Nike. So it’s no surprise that a defence stalwart like BAE Systems hasn’t previously thought marketing necessary. This perception is changing, however, thanks to the company’s technology division, and the growing and necessary global focus on protecting against cyber terrorism, financial crime, and defending a country’s communications infrastructure. BAE Systems Detica appointed its first chief marketing officer, Morag Lucey, in April with the aim of repositioning the technology division’s market image and bringing its parent company into the modern, virtual age. As CMO, Lucey oversees M&A, brand insights, product management, channels and all global marketing functions. She told CMO one of her first tasks when she took up the role was to understand the value of the relationship of the Detica business to the parent company. Detica was a UK-based business purchased by BAE Systems about five years ago. The company focuses on three core areas: Cyberterrorism, financial crime, and communications and intelligence. Over recent years, the company has bolted on several technology asset acquisitions in its three core markets, but until recently had viewed these in siloes. “What’s happening in the three areas of the market is that we’re seeing a convergence because of the way crimes are being perpetrated,” Lucey said. “Very sophisticated cyber techniques are being used to perpetrate fraudulent crimes. The concept of defence at a government level is also increasingly moving into the virtual environment, Lucey said. “BAE Systems is synonymous with physical protection and so people believe in the brand because that is what it does,” she said. This virtual shift ties into Lucey’s second key priority, which is to articulate BAE Systems’ Detica reason for being. “We are in lots of different things but you can’t be in lots of different things; you have to be famous for a set of things,” she claimed. “Nobody has looked at the fact that you have to provide protection both physically and virtually, and actually the wars are now being fought in the virtual space. Most of the threats, and the opportunities, are because of the technology we have built that has created this platform for good and bad. Because of our BAE Systems heritage in the defence and protection of the physical world, it’s a natural extension to move into the virtual world, especially when you think about critical national infrastructure. Cyberterrorism is a frightening prospect and it’s on the rise, but until you’re hit it’s hard to fathom how much destruction it can cause. Lucey admitted what her company offers is like taking out an insurance policy; it’s essential, but you don’t feel good about buying it. For some organisations, Detica’s technology solutions are needed because of regulatory or mandated guidelines. For others, it’s about protecting the brand against an attack that damages your reputation. According to Lucey, the key is turning the perception of ‘protection’ away from pure network, IP, data and people, towards information, competitive advantage and revenue. “When you’re putting these solutions in place, because of the information you’re gathering, you can actually do good things with it,” she said. “That information can be used in real-time for example, to drive customer loyalty. If you think about the telcos, they need to monetise the network, so utilising the information they’re protecting can help them make offers specific to the individual, or to drive benefit for the company. To ensure BAE Systems Detica can fulfil on this promise, the team is replatforming its solutions onto one integrated platform. Lucey claimed its technology services and support also set BAE Systems apart from other traditional defence competitors. Lucey has a long and distinguished career in marketing and the technology industry, starting with product management at word processing pioneer, WordStar, in the 1980s. She moved into marketing and strategy at Microsoft, then into the telco space, and over time has added the full gamut of marketing functions onto her resume. 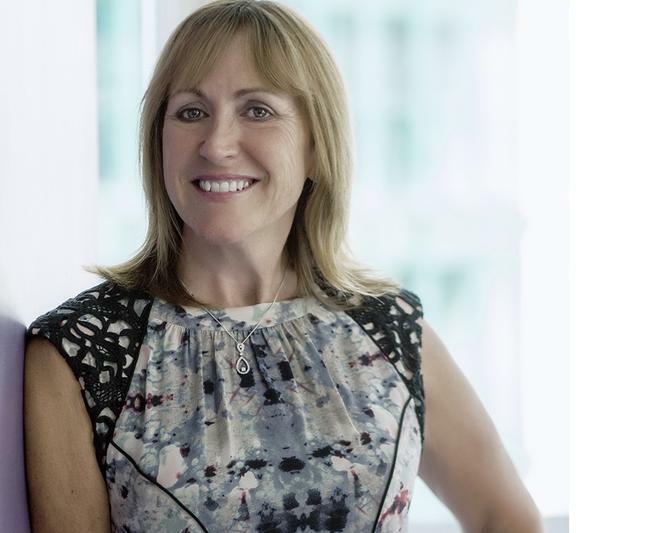 Lucey's strategic and more recent positions have included vice-president of global marketing at networking vendor, Avaya; executive vice-president of marketing at enterprise software giant, SAP; and VP of global marketing and product management at Convergys. “When I first started, we did a lot of ‘out of home’ advertising – advertising, billboards, TV commercials – and that was what it was all about,” she recalled. “You put the message out in front of people and repeated it 11.7 times before that was how many times it took people to remember it. As CMO at Detica, it’s critical to focus on what’s happening in the markets today, the dynamics, what it is you have in your portfolio, and what you’re missing, Lucey said. “From there, it’s really starting to coalesce around telling a story in the market about why our offering is beneficial,” she said. Lucey’s third current priority is to centralise the marketing function globally and ensure it aligns with the business agenda. To do this, she said marketers must have responsibility for pipeline opportunity. People will find you; you don’t find them anyone, so you have to be everywhere that person is. The marketing team is also tasked with increasing the share of voice in the market over competitors, as well as growing market share. “It is a big change for our company – we have gone from a company that has undervalued marketing,” Lucey commented. “A defence company talks about communications; they don’t market and don’t believe they need to market. They think it’s because they know everybody that needs to buy what we have. What BAE Systems is realising now is that you do have to market your brand. You have to know and have a perception of what and who you are in the market. Be visionary, look outside and understand what’s happening and how you fit into that. You have to make decisions, and make them really quickly, because in the technology industry in particular, things don’t sit still. It’s the team that gets everything done. “We are in the midst of repositioning and we have some really heavy lifting to do. If I didn’t have a solid team that I can trust and work with, it would be done in the next year,” Lucey added.